As Clackamas County Sheriff Craig Roberts pointed out, "Car crashes are the number one killer of teens nationwide." In Oregon, they are the number two killer (behind suicide) of young people ages 15-24. In response to the problem, the Sheriff's Office is partnering with several organizations during National Teen Driver Safety Week to hold the fourth annual "Drive with a Cop," an event aimed at educating teens about safe driving and warning them about the perils of unsafe practices. "Drive with a Cop gives us an opportunity to teach young drivers about the dangers of driving impaired and distracted, so that they can make better decisions on the road," Roberts said. "Drive with a Cop" is scheduled for Oct. 20 from 10 a.m. to 4 p.m. at Portland International Raceway, 1940 N. Victory Blvd., Portland, Ore. 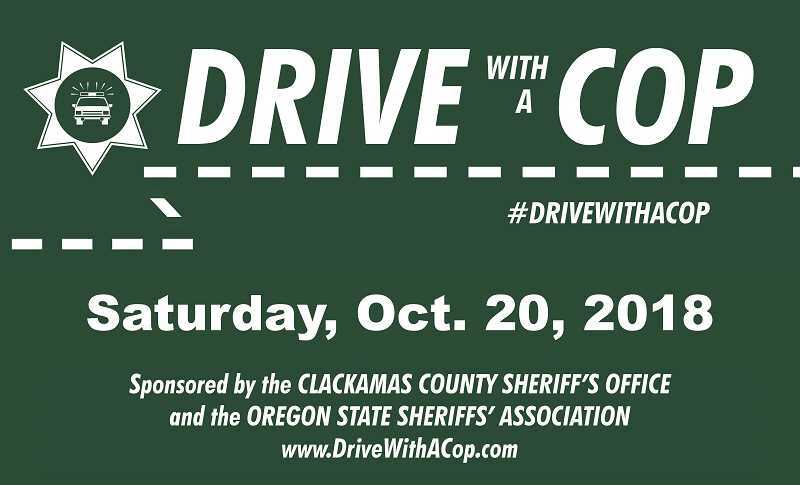 The event will pair teen drivers with Clackamas County deputies who are trained driving instructors for a day of training behind the wheel and in the classroom. This year's lineup includes hands-on training from the deputies, using impaired goggles, a crash reconstruction presentation and a parent session on teen brain development with Dr. Amy Stoeber. In addition, attendees will hear from speakers impacted by the loss of family members in teen driving crashes. "We are grateful to have the opportunity to try and prevent some of these car crashes from happening in the future," said CCSO Sergeant Brad O'Neil. "They are quite devastating not only to the people involved but to the families, witnesses and officers who respond to them." The event is made possible through partnerships with Oregon Impact, U-Turn 180, State Farm Insurance and the Oregon State Sheriffs' Association. To register, visit drivewithacop.com. The cost is $10 per person and open to all licensed teen drivers.